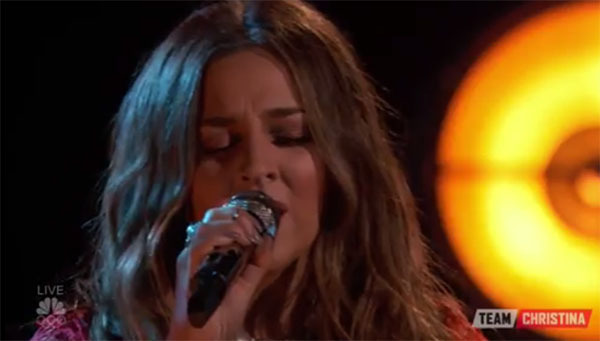 Alisan Porter from Team Christina sings ‘Let Him Fly’ on The Voice Season Top 10 Live Shows on Monday, May 2, 2016. “I applaud you and I think it’s amazing,” said Adam Levine. “Now I really love you for doing country song. You can sing over the top and we know that… that such a smart move,” said Blake Shelton. “I’m so happy and proud of you for being courageous to share that with us. You are commendable for that I wholeheartedly applaud you for doing that,” said Christina Aguilera.